In the late twentieth century, stable homotopy theory expanded rapidly and became increasingly sophisticated in defining homotopically invariant algebraic machinery associated with multiplicative cohomology theories and their internal operations. Inputs to these developments have included established mathematical ideas from subjects such as algebraic geometry and number theory. 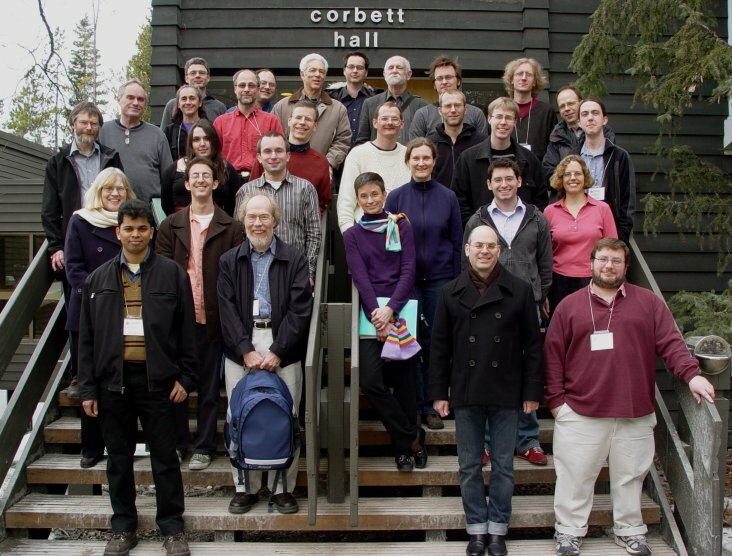 The workshop `New Topological Contexts for Galois Theory and Algebraic Geometry' brought together topologists involved in developing or using these new techniques and allowed for the interactions with other subject areas by including non-topologist participants who would contribute to this. The Banff International Research Station for Mathematical Innovation and Discovery (BIRS) provided wonderful facilities and support, amidst stunning mountain scenery, and we would like to thank all the staff and funding bodies that made it possible. What precisely are E∞ ring spaces and E∞ ring spectra? What are E∞ ring spaces good for? Publication of this monograph is now complete.